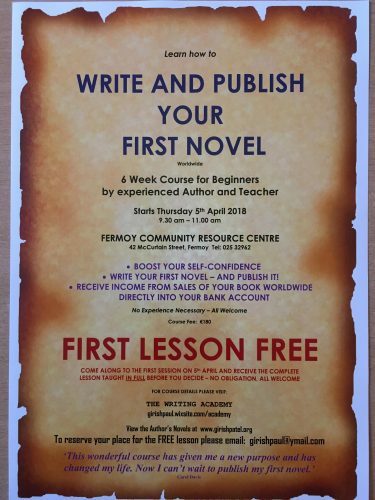 This is a 6 weeks Course for Beginners by experienced Author and Teacher. Starts on Thursday 5th of April at 9:30 am. First lesson is FREE. All welcome!